Warning: There will be spoilers for those who want to see this movie. From 1986 to now, the Dragon Ball franchise has aired its shows on TV: Dragon Ball from 1986 to 1989, Dragon Ball Z from 1989 to 1996, and, most recently, Dragon Super starting in 2015. Due to how long this series has run, there have been movies that add to the plot of the original series. Some were successful while others were not. While a bulk of these movies came out in the ’80s and ’90s, three of the movies were released recently, one of them being Dragon Ball Super: Broly. This new movie was released on January 16th, 2019. The premiere date earned Funimation Productions about 7 million dollars, adding to their world total of 86.9 million dollars; this surpasses Dragon Ball Evolution for the highest earning Dragon Ball movie in the US. But how does this movie compare to the original Dragon Ball Z: Broly – The Legendary Super Saiyan? Character-wise, the new Broly has more character depth than the original. The new Broly has a real reason for his hatred. Broly was banished by the King of the Saiyans as a kid for his possibility to be stronger than the Prince of the Saiyans, Vegeta. The original hated the main character, Goku, for crying too much as a child. Major difference. There was some CGI (Computer-generated imagery) in the movie. This made the movie look weird in a good way. The original animation style was still good. This angle was split to me. The plot of Dragon Ball Super: Broly goes much more in depth in the story of the Saiyans before their planet was destroyed, but it also confirms a lesser known manga: Dragon Ball Minus. This is where Goku’s mother can officially be seen. Personally, I loved this movie. 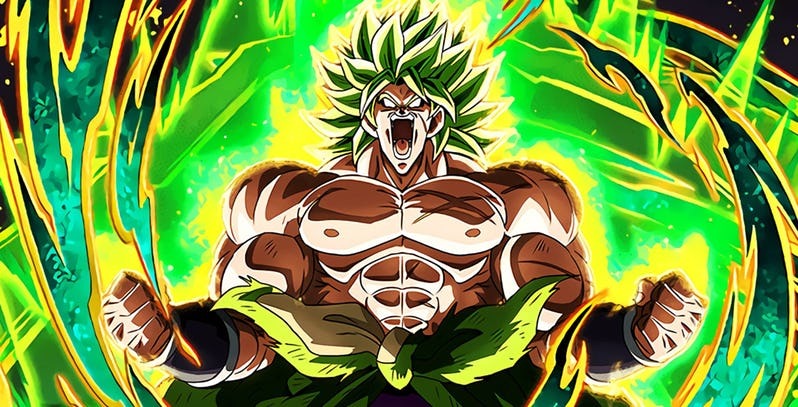 Growing up, Broly was my favorite character; thanks to this movie, he is back at the top. The plot appealed to me as well; the creators did a good job of giving this movie and character the reboot that was needed. I will definitely buy it when it comes out on DVD.